Our recent date day adventure to other parts of Florida was really interesting this time. We wanted to spend the night at Daytona Beach because we had an appointment the next day in the area, so we decided to take a long way around to get there and see what was “happenin” in the southern area of our home and check out some area springs and the beach. 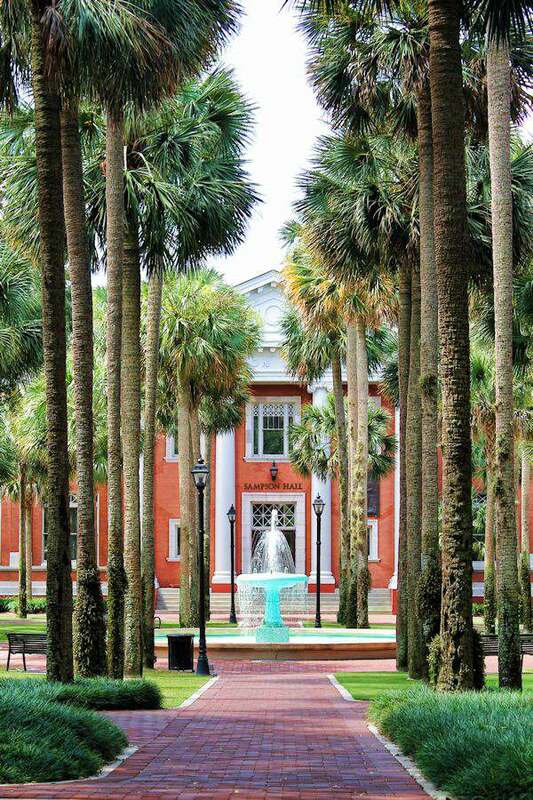 Our first destination was DeLand, FL and we started off by driving around Stetson University. 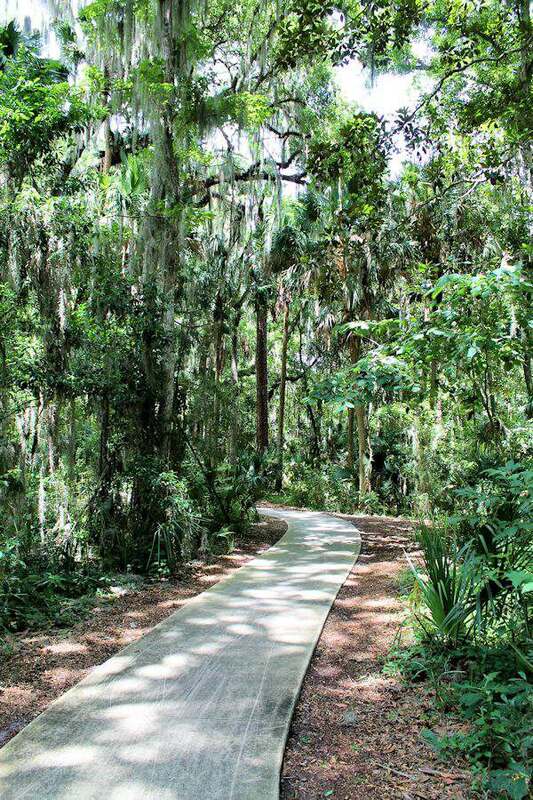 Its pretty close to the main area of DeLand and easy to find. A beautiful, small and just charming university. DeLand is one of those, what I call, “old style” Florida cities. Lots of history and just so enjoyable to drive around in. 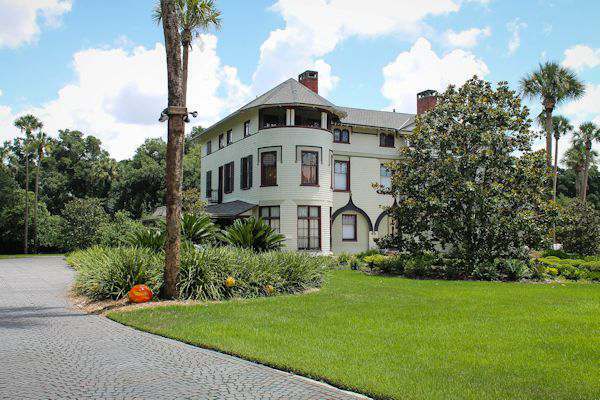 Some beautiful old homes to look at and one of my favorites is the Stetson Mansion. The home was built by the family who started the Stetson University and has been in the family since. The family still lives there, but they have private by appointment only tours of the home. I have been wanting to go there for their Christmas tour for years now and maybe someday I will make that “night” trip. After leaving DeLand, we drove around and looked at a couple of fish camps which Florida made famous, back in the day. I love saying that. Back in the day. Back when things were slower, no one knew what technology was and life was just easier, it seems. But, I’m sure in 20 years, younger people today will be saying the same thing. 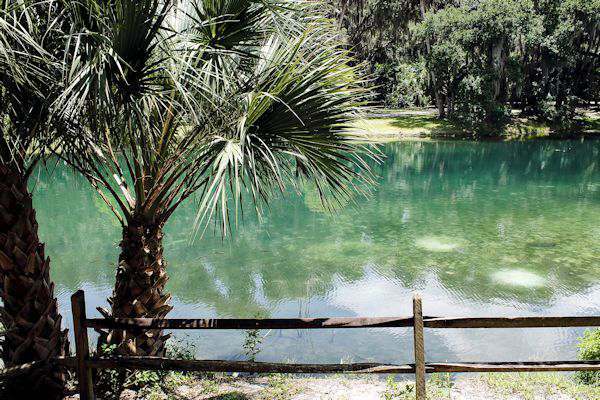 Our next stop was 3 springs in lower Volusia County. 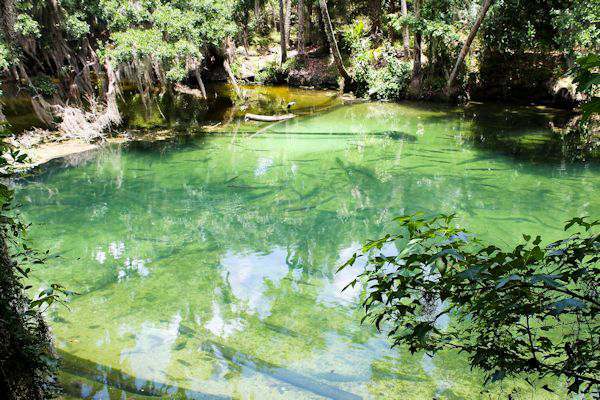 Florida has the most concentration of springs in the country. The main reason there are so many sinkholes here too. The first spring stop was Blue Springs State Park. I was so impressed by this spring. 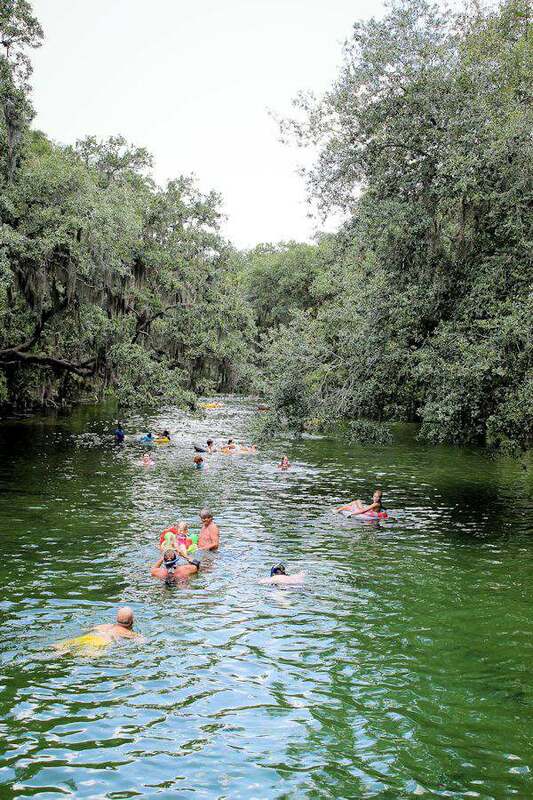 Little did we know that its one of the largest springs around and a huge swim stop for the locals. There are so many activities available to do. 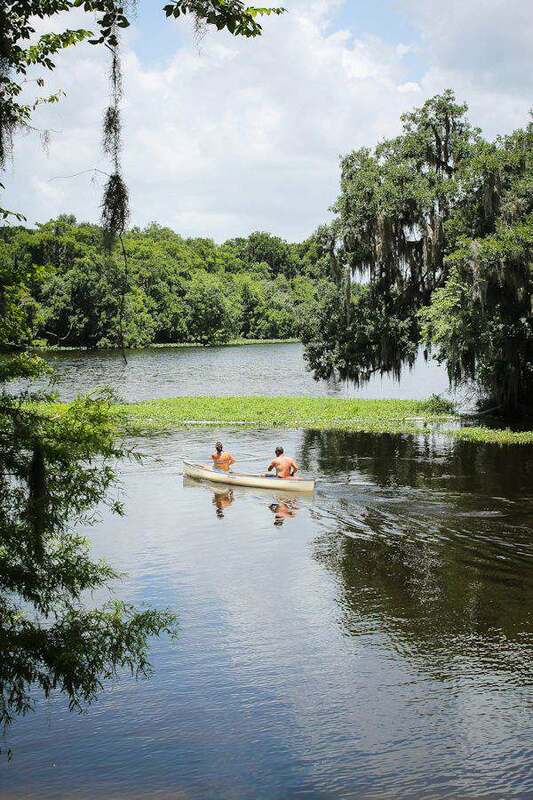 Not only swimming, but you can rent canoes, take boat trips and in the spring, come by to watch the manatees stay for a few months. One of their favorite winter stops. The water was so clear, you could see all the fish and other swimming creatures. The swimming area was being used by so many. It’s not deep at all. If you have never swam in spring waters, its cold. Stays in the 70’s all year long. All ages were having such a great time and there is a really nice pier/dock area to use to get in and out of the water. Picnic areas and tons of parking. But what confused or should I say, concerned me the most was this………….. 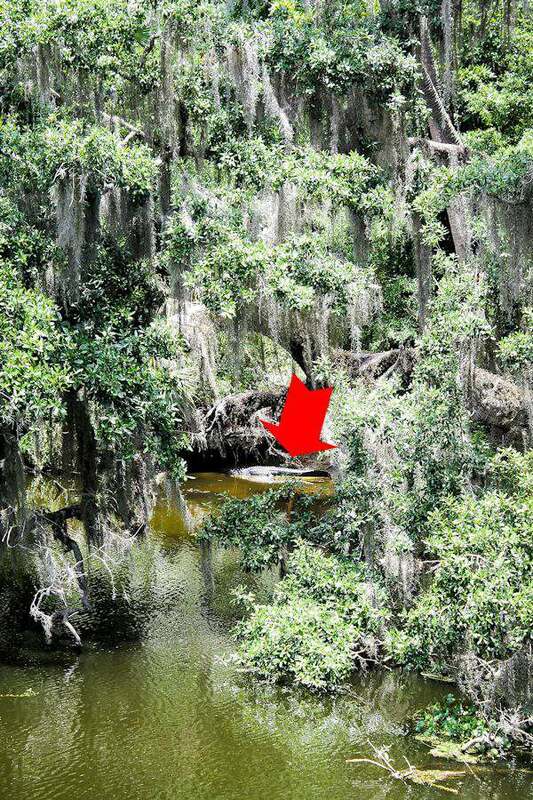 It might be hard to see in this picture, but right under the red arrow is one of Florida’s finest alligators! A good size one too. Just enjoying the sun. Nothing unheard of here in Central Florida. They live anywhere near water. I have lived here almost 10 years now and this is the first time I have seen one in its own habitat. But………….. 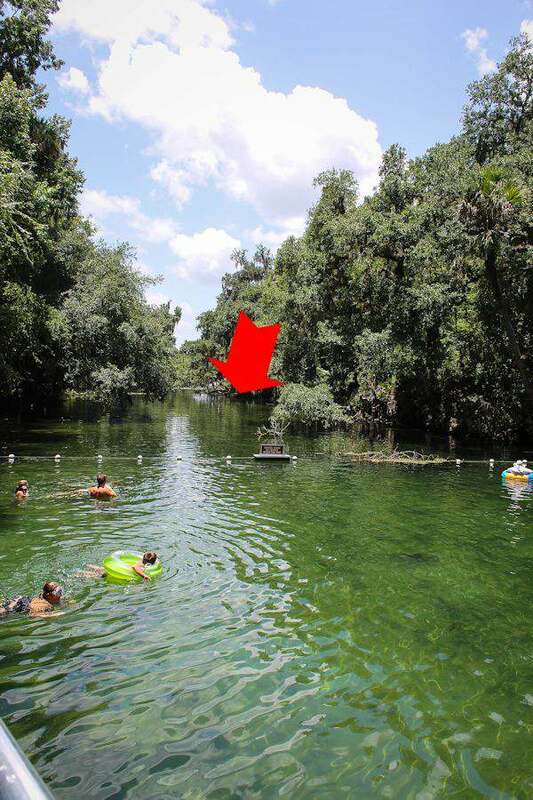 The red arrow in the picture above shows where the gator was sunning on the bank. And you can see the swimmers having a good ole time. I don’t think you will find me swimming there anytime soon. But, still, a very nice park and I would go there again for maybe a boat ride tour of the area or picnic or watch the manatees. People love to come and scuba dive in the caves in many of the springs. 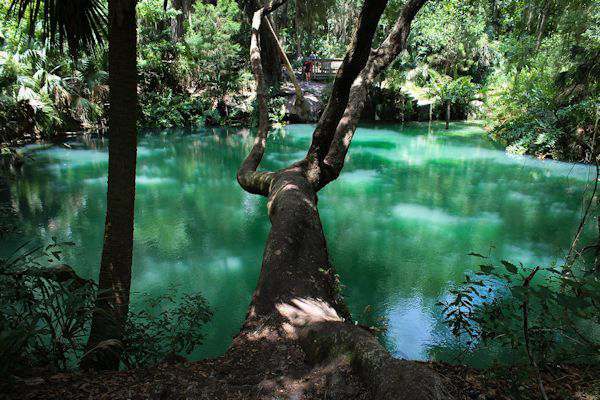 On to the next spring called Gemini Springs Park. This park had a beautiful building where people can come for family reunions, parties, and other activities. Really nice docks to fish off of and in the process of building nice restrooms. It was so quiet and peaceful there. I could sit and just watch nature fly by. Speaking of nature. 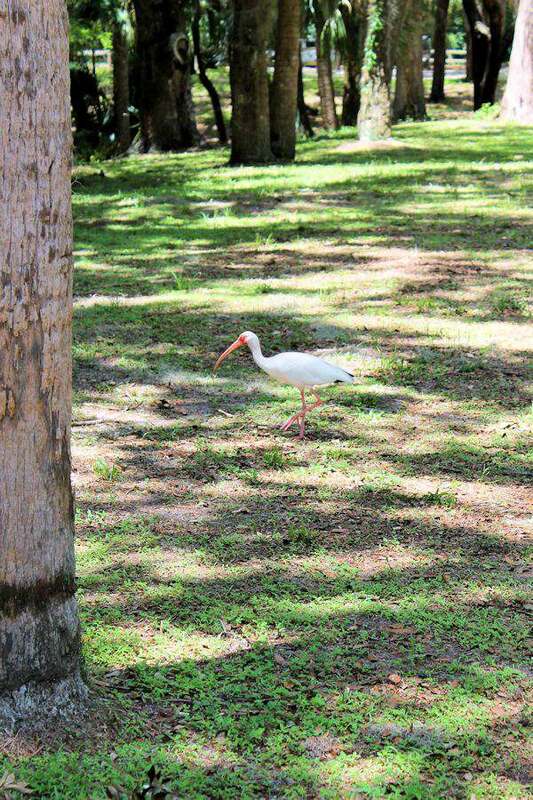 I love all the interesting birds of a coastal state. 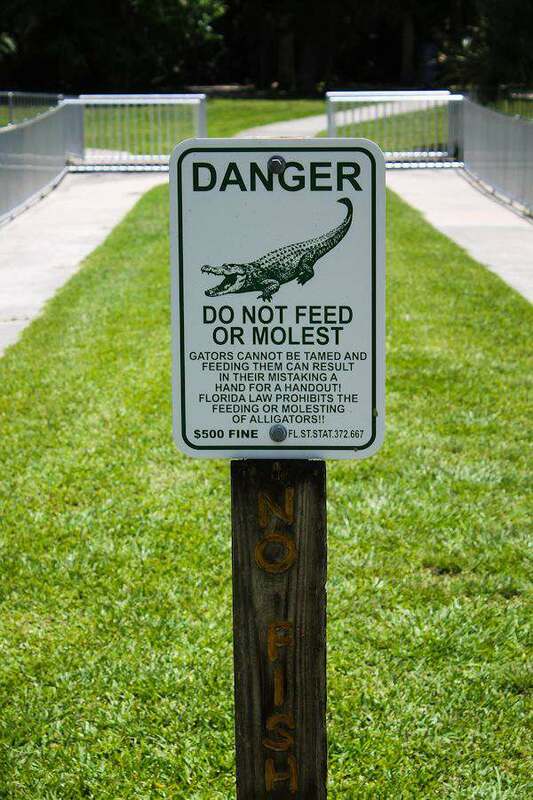 I understand not feeding the gators, but “MOLEST”??? I had to post the sign. It gave us a laugh. Our last spring is called Green Springs. It won’t take you long to figure out why its called that. It is just so green and pretty. The color of an emerald. But for a reason. The closer you get to the water, then the smell almost knocks you down. Sulfur. The minerals from the spring and sulfur mix together and make the green color. This visit didn’t last long. I don’t do sulfur smell very well and the heat was getting a little too intense as the day got longer. Had to get back into my nice cool car. The paths around all the parks were outstanding. You can bike or just hike to your heart’s content. And some of the nicest playground areas I have ever seen. Every park we have been to so far in Florida have been like this. I’m proud to see the state using tax money so wisely there. Our next stop is Daytona Beach, but that is for a later post. A Friendly Reminder: Anytime you are in Florida and near water, other than the beach, be on the lookout for gators. Don’t feed them or molest them. I know you have better use for the $500 on your visit to our fine state than to have to pay a fine. It looks like a beautiful date. I always love your pictures. You have a gift in photography, Tammy! Alligators scare me to death. Just seeing that picture of the people swimming so close freaks me out. The Molest sign is quite funny though :). Thanks so much Candace. People swim around here in the water and don’t even think about gators. I will stick to the pools.